Whatever your career path, proven Autodesk® software expertise will keep you ahead of the curve and help you develop a solid competitive advantage in today’s complex marketplace. Autodesk® certifications are a reliable validation of your skills and knowledge, and can lead to accelerated professional development, improved productivity, and enhanced credibility in your field. 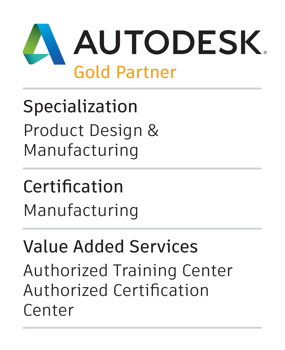 Autodesk® certifications can help you succeed in your design career—providing benefits to both you and your employer. Enhanced skills and recognition: Autodesk® Certification provides validation of your skills and knowledge along with recognition of your achievements. Electronic certificate: Once certified, you receive access to an electronic certificate, suitable for printing and framing. You may reprint this certificate as often as you like. Certification logo: After passing the certification exam, you will receive the official Autodesk® certification logo identifying you as Autodesk® Certified, which you can use on business cards, résumés, and letterhead. Immediate diagnostic feedback: Whether or not you pass the exam, you will receive immediate feedback on areas to improve your Autodesk® application skills. Listing in the Certified Professionals Database: Once certified, you can choose to have your contact information and certifications listed in Autodesk publicly available database. This is an excellent way to demonstrate your certification status to prospective employers. A MESA Path to Certification is a great way to prepare for one of those Autodesk professional exams! Take our public training courses listed in the specific Path to get the knowledge you need, then take the exam here, in an environment where you're comfortable. Not much training or experience in the software you would like to become certified? Choose the “Complete Path” to Certification below. Are you an experienced user who just needs more knowledge in the advanced areas of the software you plan to become certified? Choose the “Experienced User Path” to Certification below. - Students will have 1 year to complete the purchased courses. - Students will need to coordinate with Jared Bowser at MESA when they are ready to take the exam. - The path will be invoiced the first day of the first course. - If a student has taken a course, in the path in the last 12 months, they can request a customized path, with that course removed. The cost of the path will then be adjusted to reflect the included courses.